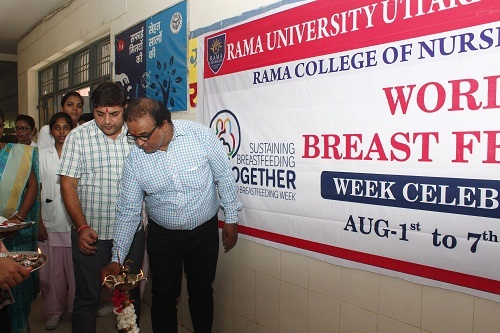 Rama University Faculty of Nursing , Kanpur celebrated "World Breast Feeding" week August 1 – 7, 2017 organised by Department of O.B.G with various health awareness programmes at community and hospital area based on this year’s theme “Sustaining Breastfeeding Together”. 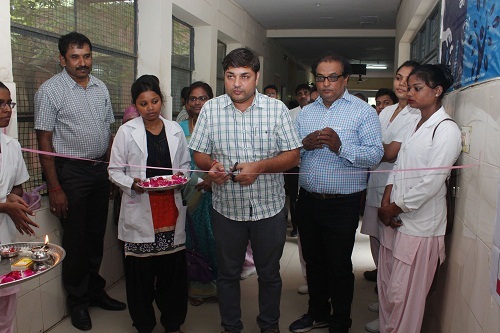 On 02/07/2017, Breast feeding week-2017 celebrated and inaugurated by Dr. SUBHOODH PRAKASH, Medical Officer and Dr. Arun Kumar Sahu, Chief Administrator, C.H.C, Barasirohi, Kalyanpur. 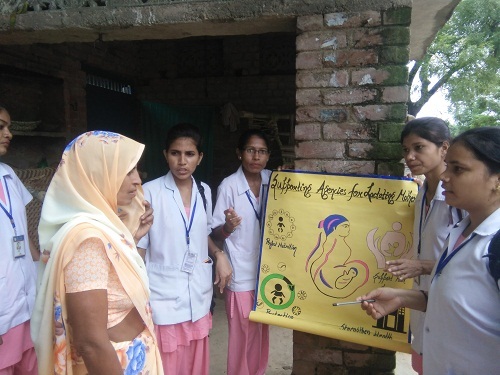 Exhibition on breast feeding was displayed at CHC, Kalyanpur; around fifty mothers attended and gained the knowledge regarding Breastfeeding. 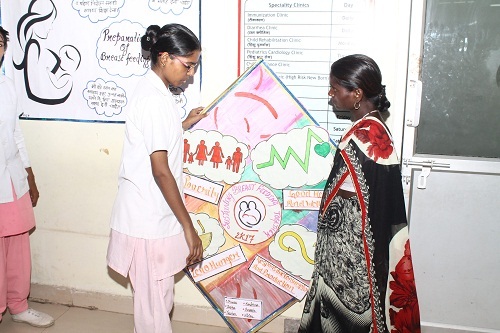 A role play performed by the students on the concept of ‘Sustaining Breastfeeding Together’ in the CHC Ante natal and postnatal wards. 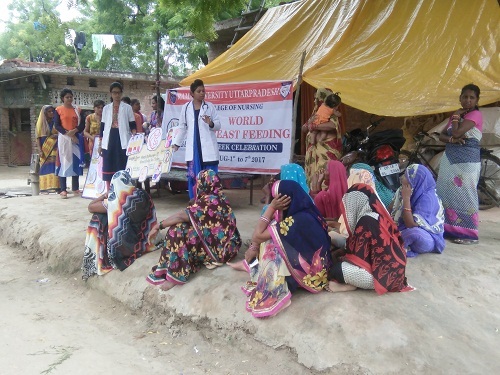 On 03/07/2017, a Health Awareness Programme was organized in DhatiNiwada Village, at Shivrajpur community. 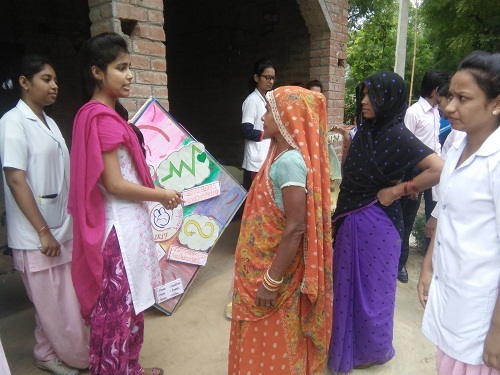 The people were well co-operative. 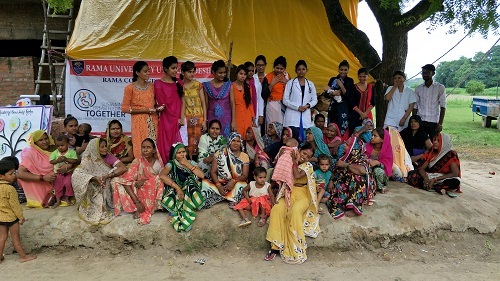 Nearly 80 mothers were gathered in the village. 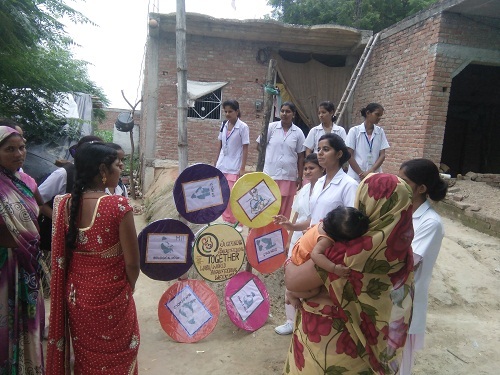 Students have given health education to the community regarding the importance of breast feeding and how to support the breast fed mothers in the family, society etc. 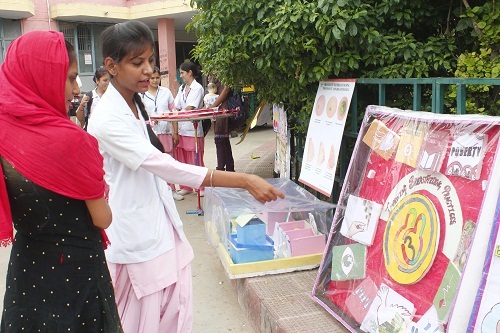 along with role play. 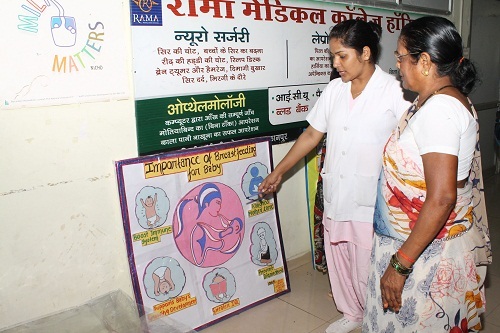 On 4/7/2017, our team made awareness about Theme related Objectives on Breast feeding in Rama Primary Health Center, at Shivrajpur. 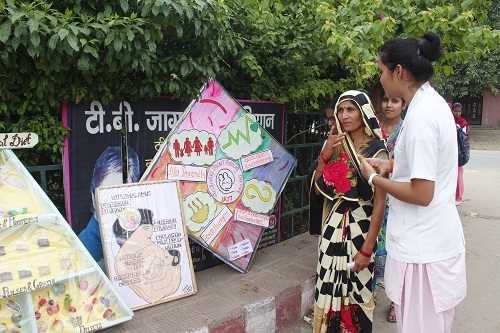 Exhibition was inaugurated by Mrs.Sachin kushwaha, Rama P.H.C Shivrajpur. 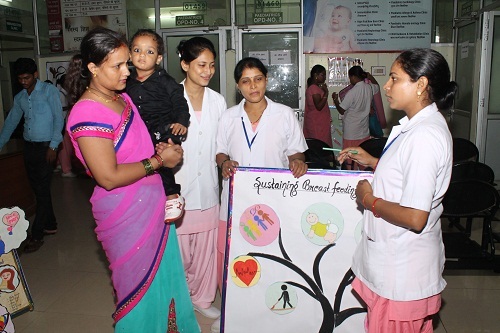 People from the surrounding area visited our PHC and actively took part. 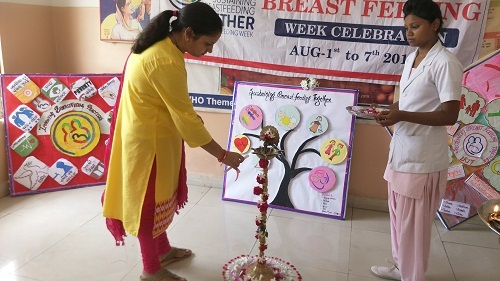 On 5/7/2017, as a part of breast feeding week celebration, an exhibition was organized at Department of OBG and Pediatrics outpatient Department of Rama Medical College Hospital & Research Centre, Kanpur. 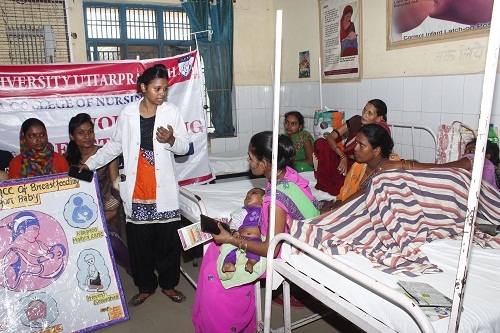 Around 50 mothers visited and got benefits by the exhibition. 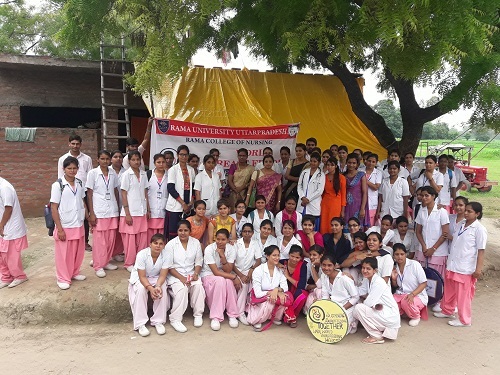 All the faculty members and the Students were actively participated on this occasion.